Despite the great number of investigations, the common scientific approaches to study biological activities of propolis present some limitations due to the high natural variability of propolis and different extraction methods used. Therefore, the results obtained so far are often not comparable each other and are poorly reproducible. The aim of this work is the development of a new extraction method to obtain standardized propolis extracts to be studied in vitro for the determination of anti-inflammatory, antioxidant and antibacterial activities. The standardized extraction method was set and posited as patent (Multi Dynamic Extraction method M.E.D.®) and the extracts obtained were characterized; they shown similar chemical profiles (HPLC-ESI-MSn) even if formulated differently (dry, glyceric, glycolic, hydroalcoholic and oily extracts)1. The antioxidant activity of formulated extracts was firstly determined in vitro (TROLOX) and then, to better clarify the intracellular mechanisms behind the antioxidant and anti-inflammatory activities, miRNA, mRNA (RT-qPCR) and their protein validated target (ELISA) changes were evaluated2. Propolis M.E.D.® extracts showed similar antioxidant TROLOX values related to the amount of polyphenols; moreover, they are able to reduce the oxidative stress and inflammation level in HaCat cells acting on expression levels of mRNAs coding for NFE2L2, GPX2 and TNF-α and NFE2L2 protein2. These results highlight a possible molecular mechanism of action of Propolis M.E.D.® behind the antioxidant and anti-inflammatory activity. To test antibacterial activity, different propolis M.E.D.® extracts were tested (MIC) against several strains (ATCC, antibiotics resistant and susceptible) and showed comparable MIC values related to the amount of standardized polyphenols complex.
. Galeotti F, Maccari F, Fachini A, Volpi N. (2018) Chemical Composition and Antioxidant Activity of Propolis Prepared in Different Forms and in Different Solvents Useful for Finished Products. Foods. 7(3). 2. Zaccaria V, Curti V, Di Lorenzo A, Baldi A, Maccario C, Sommatis S, Mocchi R, Daglia M. (2017) Effect of Green and Brown Propolis Extracts on the Expression Levels of microRNAs, mRNAs and Proteins, Related to Oxidative Stress and Inflammation. Nutrients 9(10). ISNAD VINCENZO, Zaccaria , FABIO, Galeotti , ALFREDO, Fachini , PAOLO, Passarella , MARIA, Daglia , NICOLA, Volpi . "Characterized Propolis Extracts, Obtained with Standardized Extraction Method, Show Similar Chemical Profile (HPLC-ESI.MSN) and in vitro Antibacterial, Antioxidant and Anti-inflammatory Activity Through Evaluation of Expression of miRNAS, mRNAS and Proteins". 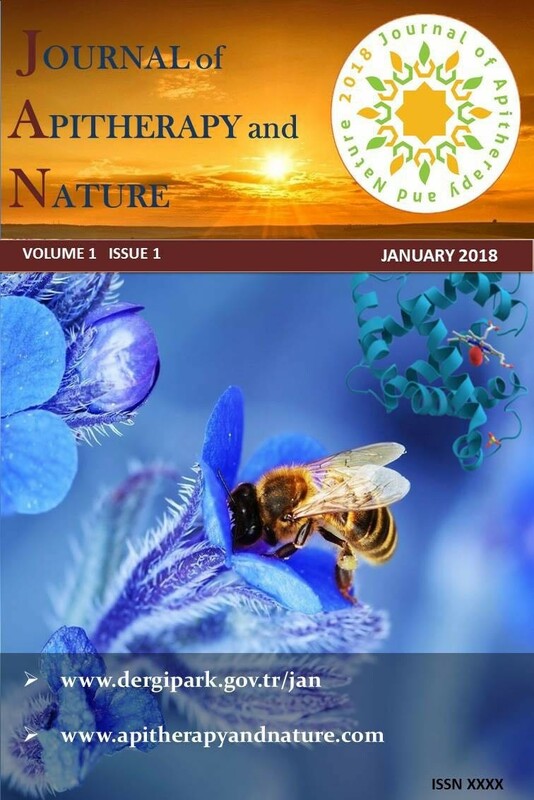 Journal of Apitherapy and Nature 1 / 3 (December 2018): 17-17.